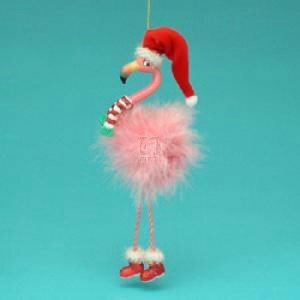 Pink flamingo Christmas ornaments are a perfect addition to any flamingo lover’s tree. I actually just picked one up online and can’t wait for it to arrive. We just recently went to the zoo and my daughter absolutely loved the giant pink birds. This will be a surprise for her as a special ornament for her to hang on the tree. Not to mention pink is her favorite color as Jean mentions in her post for light pink Christmas ornaments. 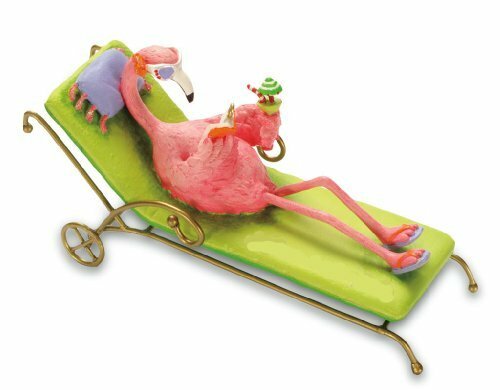 While there are the traditional pink flamingo yard adornments available year round, I wanted something that was specifically designed for the holiday season. 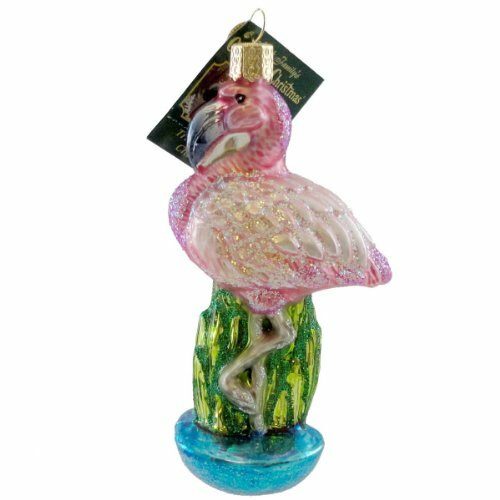 Living in such a hot place (Texas), it is nice to have such tropic feeling ornaments. So many of the ones available have the birds dressed up in some sort of vacation-y feel and I LOVE IT. After the first one goes on the tree I think it will be great to have my daughter pick out a new one every year to add to our collection. Hopefully the tree doesn’t turn into a giant tropic island…Some of these can also be used as decorations along the wall with some small hooks. Actually, might even pick one up to use a cake topper just in case it turns out my youngest wants some sort of themed birthday next year. The pink flamingos above are ones that I think are the most adorable. They all have some sort of costume, good ratings from other customers, and radiate the birds’ innate coolness. Now that I think about it, it might be a good idea to go ahead and pick up a few more just in case they aren’t available next year. My favorite by far is the lounge chair one for multiple reasons. The first is that it is a Christmas wish of mine to be able to spend my days relaxing on the beach just like that. It also has some bright coloring (which hopefully lasts). The last is it that I enjoy seeing ornaments that don’t scream snow and coldness. There is a reason I live in the South. No offense to everyone else!! Though if you do happen to live in a place that actually gets cold during the winter these ornaments can help serve as a reminder that it is still warm somewhere. Bring some sunny cheer to your decorating this year 😉 These can be a great gift year round as well if you happen to have friends or family who love these particular animals. No reason to wait until the Christmas season to use them. How do you feel about pink flamingos? Is this something that would fit well on your tree or would you have to carve out a new place for them to fit?